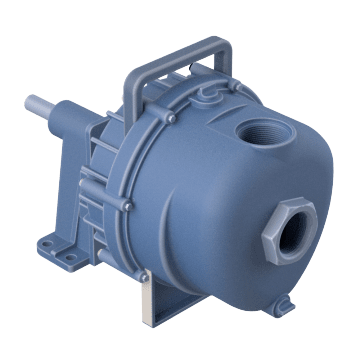 Attach one of these pedestal pump heads directly to a motor or engine, or drive it with a pulley to meet almost any water transfer or distribution requirement in which suction lift is not required. 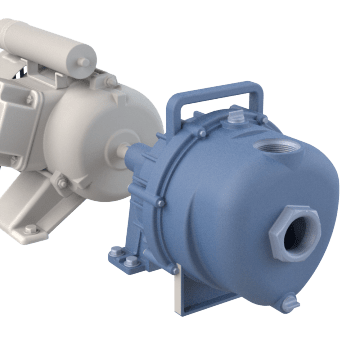 Centrifugal pumps are the most common type of pump because of their simplicity and effectiveness. They use impellers consisting of rotary vanes that draw in fluid to create high velocity movement. The pump casing forces the fluid to discharge, converting the velocity to pressure resulting in a high flow rate. Meet your general pumping needs with one of these low-maintenance pump heads. 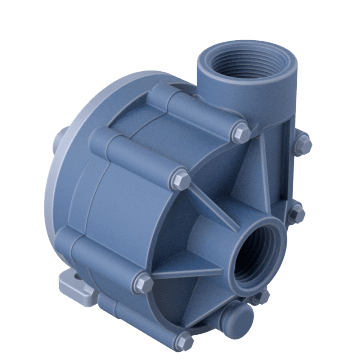 These non-metallic pump heads are excellent for medium-head applications in which aggressive, non-flammable liquids are used. 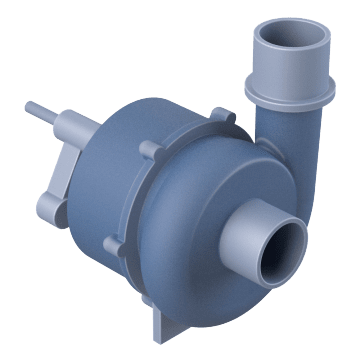 Install these pump heads in HVAC, chemical processing, liquid transfer, and hot or cold water systems where high head is required. 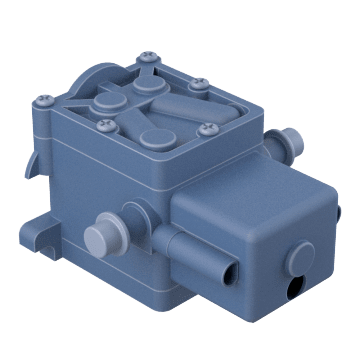 Use these pump heads for applications that require continuous high flow rates with low head requirements and no self-priming, including boiler feed, filtration, low-pressure circulation, fountains, and spraying. 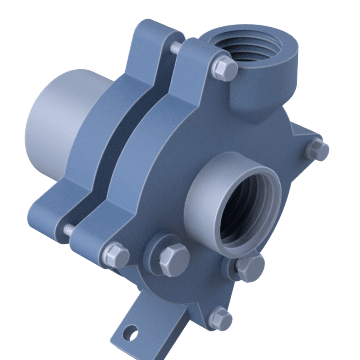 Designed without metal internal components that can rust and contaminate food or other materials used in sanitary applications, these pedestal pump heads resist corrosion and are meant for use in the food, beverage, biotech, and pharmaceutical industries.